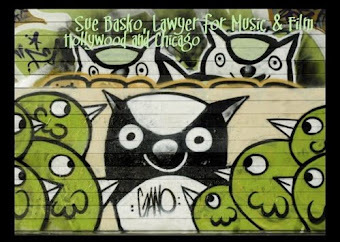 Sue Basko, Lawyer for Independent Media: What is a Music Booker or Booking Agent? NEW UPDATES! Article has important updates as of Sept 2, 2011. The newest updates are in this BROWN color. It should come as no surprise that the best booking agencies are operating within the law and will be found on the licensed list. Because the big famous California talent agencies do not deal in music or have very small music departments, the few licensed agencies that have taken on music booking as their specialty are doing incredibly well. They have huge client rosters of the best known music acts and are booking them quite well. Other California licensed Booking Agencies have specialties, such as metal music or alternative. Conversely, some of the "major" Illinois booking agencies appear to be operating illegally and are thus at risk of criminal charges and losing their income. Also, some of the major Illinois booking agencies claim to have offices in California, and yet, are not found on the California Talent Agent licensing database. In Illinois, Music Booking Agents MUST be licensed. In Illinois, they are licensed as Private Employment Agencies. In Illinois, the agency must be licensed and each "counselor" must also have an employment counselor license. In Illinois, if a Talent Agent is working on behalf of the employer and being paid only by the employer, they must STILL be licensed as a Talent Agency/ Agent, which in Illinois law is called a Private Employment Agency/ Counselor. The term "employment agency" means any person engaged for gain or profit in the business of securing or attempting to secure employment for persons seeking employment or employees for employers. However, the term "employment agency" shall not include any person engaged in the business of consulting or recruiting, and who in the course of such business is compensated solely by any employer to identify, appraise, or recommend an individual or individuals who are at least 18 years of age or who hold a high school diploma for consideration for a position, provided that in no instance is the individual who is identified, appraised, or recommended for consideration for such position charged a fee directly or indirectly in connection with such identification, appraisal, or recommendation, or for preparation of any resume, or on account of any other personal service performed by the person engaged in the business of consulting or recruiting; but this exclusion is not applicable to theatrical employment agencies or domestic service employment agencies. Doing business without an Agency or Counselor license is a Class B misdemeanor. Both Agency and Counselor licenses are valid for one year. In Illinois, how can you find out if a Talent Agent or Booking Agent is licensed? I have asked the Department of Labor and the Governor's Office WHY this one profession has been left off the database. I have explained that this leads to scams and is bad for the public. I have asked them to include these listings on the database. The Illinois response thus far is that you can get a listing of licensed Employment Agencies and Counselors by mail using a FOIA request. That is not adequate. People NEED to have that information immediately available to them. Scams have run amok. In the past week alone, I have seen a child modeling audition scam, a child singer scam, and a few musician pay-to-play scams. If the targets of these scams had been able to look up on a simple database to see if the company or person is a licensed agent, that could have stopped the scam. The confusion perpetuated and caused by the Illinois Department of Labor creates an environment that encourages scams to flourish. What if a Person is actually an employee of the venue, with the job of booking bands? From (225 ILCS 515/11) (from Ch. 111, par. 914) Sec. 11. Definitions. The term "theatrical employment agency" means and includes the business of conducting an agency, bureau, office or any other place for the purpose of procuring or offering, promising or attempting to provide engagements for persons who want employment in the following occupations: circus, vaudeville, theatrical and other entertainment, or exhibitions, or performances, or of giving information as to where such engagements may be procured or provided, whether such business is conducted in a building, on the street, or elsewhere. In California, many venues have on staff a Talent Buyer or Band Booker. These people deal directly with the talent's agent, or directly with the talent if the talent does not yet have an agent. In California, most acts beyond the beginner stage have an agent, because the law is enforced. How about "Agents" working on behalf of a venue or employer, but not actually an employee of the venue? In some states, you will find people who are not employees of a venue who are booking shows. These people will call themselves Booking Agents, Music Booking Agents, Music Managers, or other such names. In states that require Talent Agents to be licensed, these people usually must be licensed as a Talent Agent. About 23 states require Talent Agents to be licensed. In California and Illinois, these people must be licensed. If they are not licensed as Talent Agents, they are operating illegally. In Illinois, these people are operating illegally unless they are licensed as Private Theatrical Employment Agencies and Counselors. See the paragraphs above that deal with this topic. WHY it is so crucial to be licensed if you are required to be licensed: In Illinois, it is a crime to operate as a Talent/ Employment Agency or Counselor if you are not licensed. You can also be required to repay the money you made. In California, doing the work of a Talent Agent without being licensed as one can lead to your other contracts (such as a Music Manager contract) being void ab initio or severed - and you can be forced to repay the money you made. California law is crystal clear and the enforcement is thorough and regular. Illinois law is murky and the enforcement is sporadic, but harsh. In California, Illinois, and some other states, who can legally act on behalf of a musician or band? 1) A licensed talent agent. 2) A licensed music lawyer. 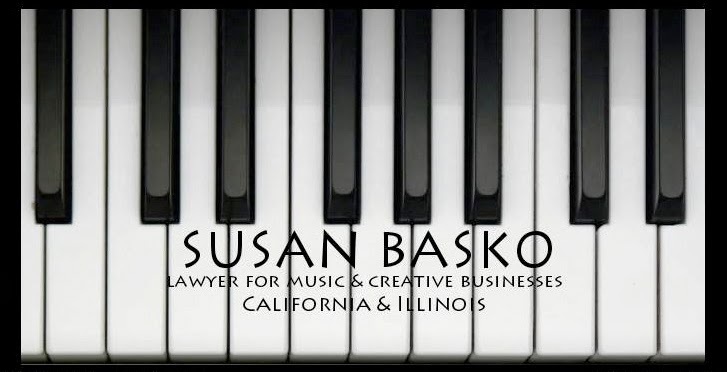 In California and Illinois and some other states, who cannot legally act on behalf of a musician or band in seeking gigs or other employment, such as booking gigs, negotiating ticket prices, negotiating a contract or rider? A band manager, a music manager, a freelance unlicensed "booker," a "promoter," a "talent developer." If a person wants to do such work, they are required to be licensed as a talent agent. Who else can negotiate a music contract? A music lawyer! You should always have your lawyer look at any contract. 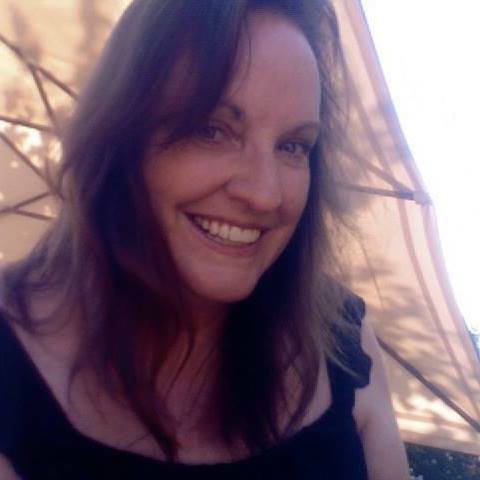 How does a person get licensed as a Talent Agent? The laws are different in every state that licenses talent agents, which is about 23 states. It is typical to include a background check, a written test, to have insurance (or in California, a $50,000 surety bond) and to pay a yearly licensing fee and state taxes. Once licensed, the agent must follow the state talent agency laws. In Illinois, both the agency and the individual "counselor" must be licensed. The applicant must furnish satisfactory proof to the Department that he has never been a party to any fraud, has no jail record, belongs to no subversive societies and is of good moral character and business integrity. In determining honesty, truthfulness, integrity, moral character and business integrity under this Section, the Department may take into consideration any felony conviction of the applicant, but such a conviction shall not operate as a bar to licensing.